1. VHF Hydraulic Oil Filtration System film atomization device: increasing molecular membrane area, more conducive to moisture evaporation, atomizer will enter the vacuum separation system of oil atomization, spray to the reactor. 2. VHF Hydraulic Oil Filtration System adopts the settlement and separation, flash evaporation, vacuum stranded, effective quickly remove the free water and gas in the oil, and deeper removing the water and gas dissolved in oil. 3. 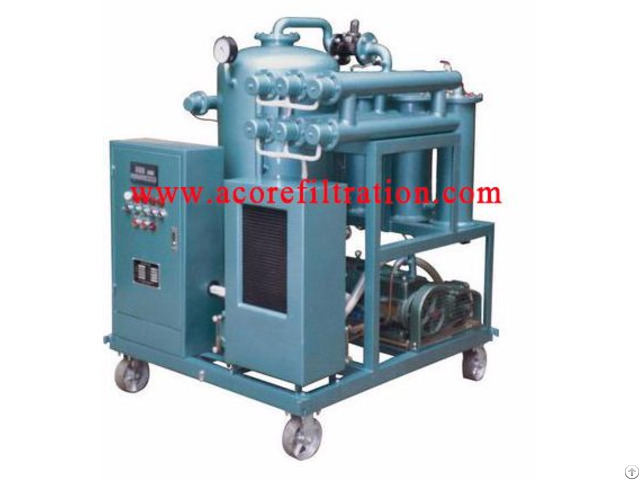 Vacuum tank of Hydraulic Oil Filtration System uses both vertical and horizontal structure, heat exchange system as a whole by expanding the three-dimensional evaporation technology, changing the structure of the oil, gas, water extraction under high vacuum strong negative pressure to the heat exchange system, the automatic discharge accumulation of cooling water, wet air discharging through the separator by the vacuum pump. 4. More than 3d evaporation: dehydration, degassing efficiency is 5 times of surface evaporation. 5. 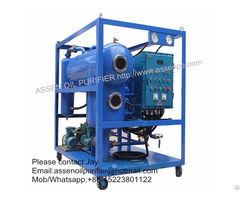 Vacuum reaction device of LVP Hydraulic Oil Filtration System: using KIZ import reaction components, separate the oil heating oil liquid atomization, oil fog forming oil film, let the water and gas in the oil evaporation as far as possible, greatly improve the efficiency of dehydration and degassing. 6. VHF Hydraulic Oil Filtration System equips with vacuum circulating cooling system, under the powerful vacuum attraction, quickly pumped the hot water vapor by separate work in to the condenser, condenses into water, the cooling system is divided into two types (water-cooled and air-cooled) can be used at the same time, also can exchange water cooled to air cooling by arbitrary switching .It completely solve the needs of different regions and different environment.